Want to learn and play the McDonald's way? 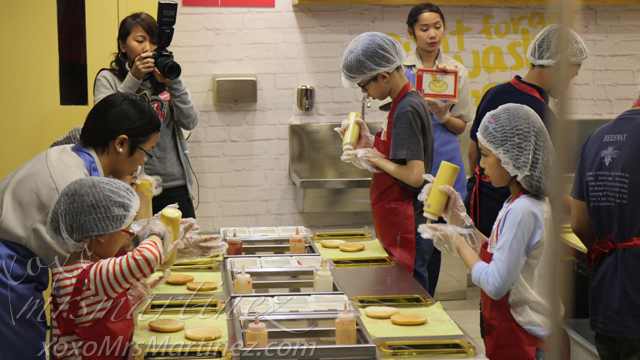 Then head to the newest McDonald's branch in town- McDonald's Burger Shop in KidZania Manila! 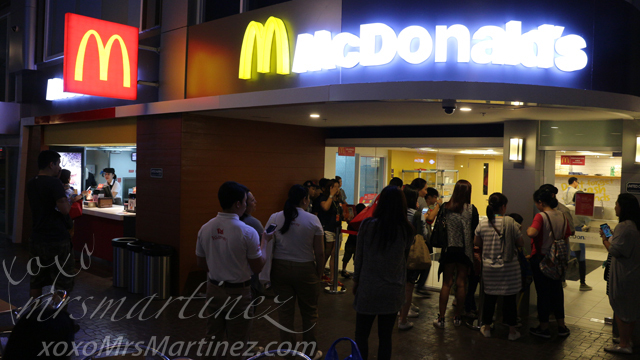 Welcome to McDonald's Kidzania! 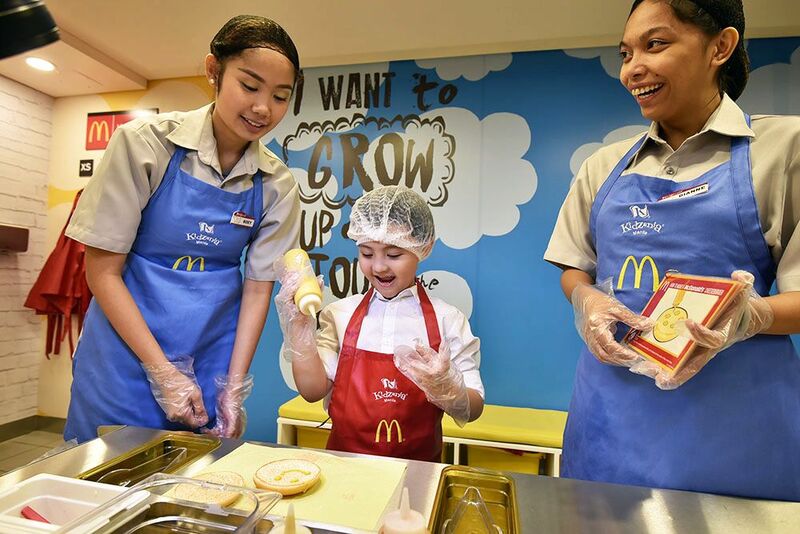 It's a unique branch inside the educational play city where kids 4 to 14 years old can experience the delight of preparing one of McDonald's all-time favorite treat- Cheeseburger. Did you know that if you damaged or tampered a single pair of KidZania Manila security bracelet, a replacement fee of Php 2,500 will be charged to the adult companion? 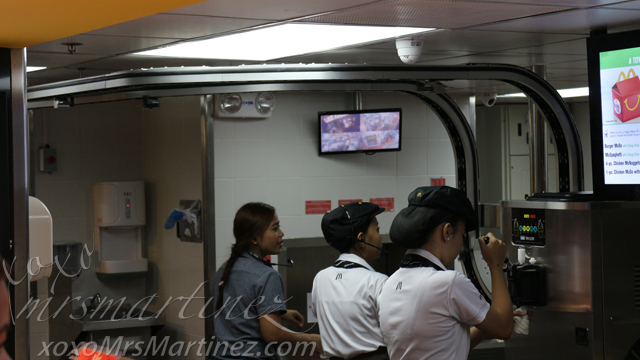 The branch inside KidZania is not like any other McDonald's in the country. Its facade looks very much like a regular McDonald's restaurant but a closer look reveals a kid-sized kitchen with young crew members having fun while making and enjoying their very own McDonald's Cheeseburger. Did you know that when you order in McDonald's Kidzania, your order will be coming from the newly opened McDonald's Park Triangle branch via the track you see above? Inside the burger shop, kids will learn the same procedure that real crew members use in preparing McDonald's Cheeseburger every day in over 460 McDonald's restaurant nationwide. At every visit, kids will put together all of McDonald's Cheeseburger tasty ingredients- 100% pure beef patty, a slice of American cheese, tangy pickles, minced onions, ketchup, mustard, and perfectly toasted buns. After completing the activity, kids will each earn 15 KidZos, the official currency inside KidZnia, which they can enjoy in other establishments. Incidentally, McDonald's Park Triangle also held its grand opening that same day. Alonzo and Nino Muhlach was at the ribbon cutting ceremony. Several hundreds of Be Our Guest Cards were given to lucky patrons. 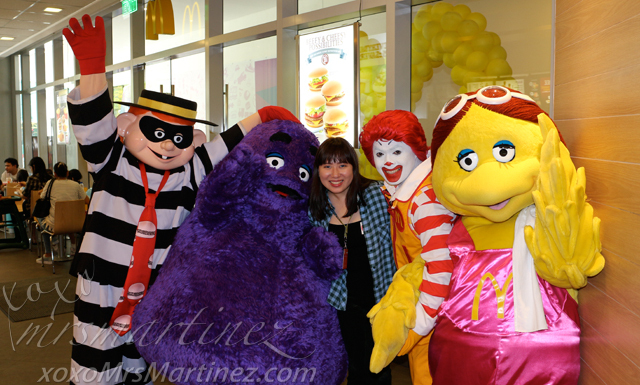 McDonald's Park Triangle branch is located at the ground floor beside KidZania. 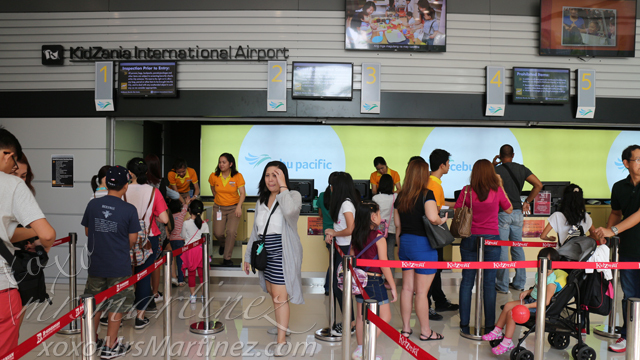 KidZania Manila is located at Park Triangle, Bonifacio Global City. Open from 9AM-4PM on Mondays to Thursdays, and 9AM-2PM and 3PM-8PM on Fridays to Sundays.